What is the The Community Cats Podcast? The Community Cats Podcast is the brainchild of Stacy LeBaron. 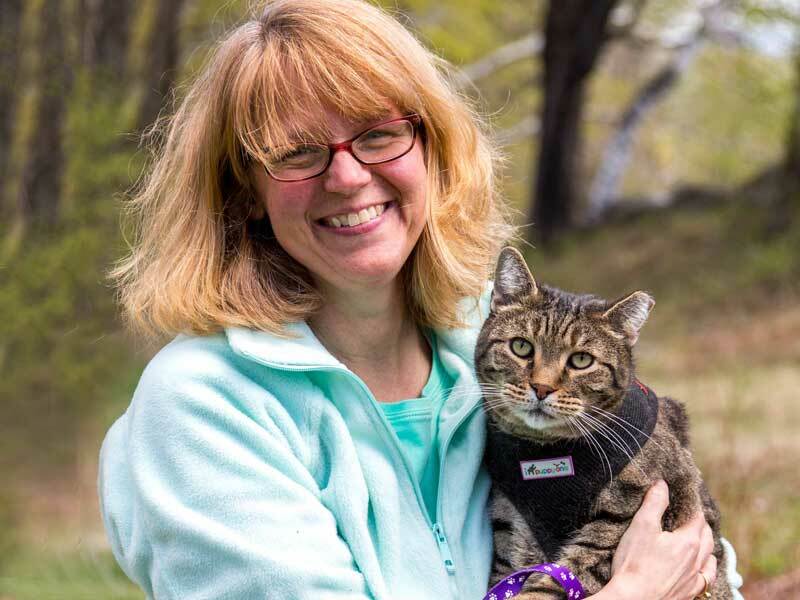 Stacy has over 20 years experience working with Community Cats in Massachusetts. She was the President of the Merrimack River Feline Rescue Society for 14 years and since 2011 she has run the MRFRS Mentoring program assisting over 80 organizations with setting up TNR programs and getting funding to support those programs. To create a humane community for all cats. We offer a podcast, informative blog, Community Cats Grant and mentoring program, online conferences, networking and sharing opportunities, we participate in cat-related events, and consulting and visioning workshops for organizations. Stacy LeBaron has been involved in animal welfare for over 20 years. She currently hosts a weekly podcast called the Community Cats Podcast where she interviews nationally and internationally renowned experts helping with the problem of cat over population and cat welfare. Previous to starting the Podcast, she served for 16 years as President of the Merrimack River Feline Rescue Society (www.mrfrs.org). Under her leadership, the MRFRS has assisted over 105,000 cats and kittens through a variety of innovative programs. Among the MRFRS’s programs are two mobile spay/neuter clinics, known as the Catmobiles, and an adoption center in Salisbury, MA. During her tenure with MRFRS, Stacy also served as a board member and oversaw the MRFRS mentoring program, as well as co-chaired the organization’s Development Committee. growing the budget from $45,000 a year to $1.5 million dollars assisting almost 100,000 cats and kittens through lifesaving programs. The MRFRS mentoring program, which began in 2011, assisted 11,000 cats through its work with 77 different animal welfare groups in fourteen states. 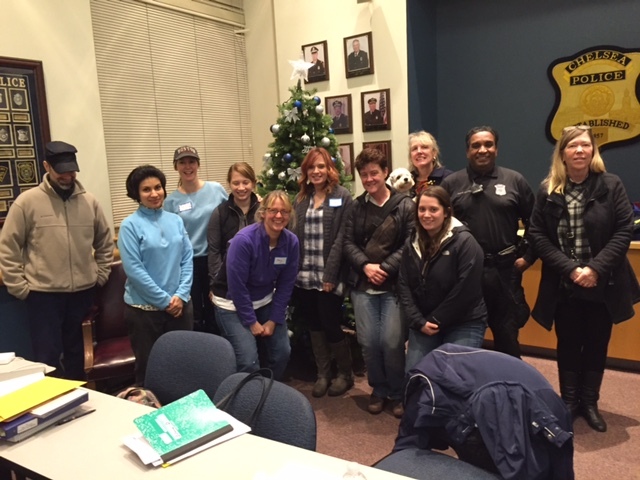 Stacy also facilitates two smaller coalitions in Massachusetts, the Boston Homeless Cats group and Merrimack Valley Partnership. An expert in her field, Stacy is a current member of the Shelter Medicine Committee at the Cummings School of Veterinary Medicine at Tufts University, Advisor to the Massachusetts Animal Coalition, Vice President of the Board for PAWSitive Pantry in Vermont, and committee member for HubCats Chelsea. She is a past board member and treasurer of the Massachusetts Animal Coalition and the New England Federation of Humane Societies. She serves as the current administrative trustee for the LeBaron Foundation. Stacy graduated from Vassar College with a focus in Urban Studies, and also attended Boston University, where she studied City Planning and Urban Affairs. She now lives in Vermont with her husband, son, daughter and two cats. I recently found your podcast and it has been incredibly helpful. It has taught me to stay on track and really work my neighborhood over to get everyone done before I move on; and inspired me to keep checking in on the caretakers to see if anyone new has joined them. The podcast has also helped me to be kinder to the caretakers. I was a bit irritated/frustrated at first when they wouldn’t withhold food or when they got cold feet because they were worried about the operation. All of the people you interview, I am sure, have gone through similar if not worse situations, but they stick to the positive. It has really showed me by example how to conduct myself during the TNR process. Thank you for everything, especially for helping new TNR recruits to be mindful and kind as they learn and grow toward helping more cats/people. I had asked to be an ambassador for your podcast during the summer. I got the materials after some tabling events had passed but now I've had an opportunity to do two in a row Global Cat Day and a subsequent adoption-outreach event. We're even having a follow up event this Saturday. Thank you and Hannah so much for an excellent and informative podcast! I really learned a lot from it and feel much more confident and able to rescue and foster. I look forward to your next one. Thank you again!